Welcome to planet H&M. Population? 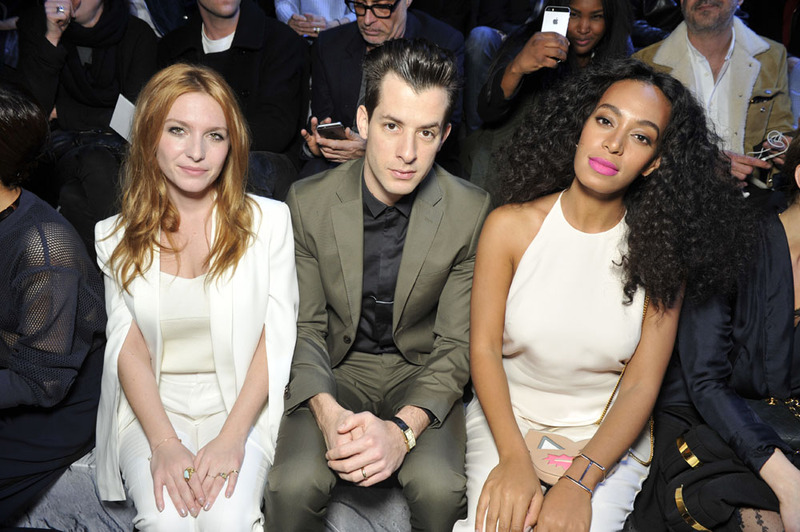 Well, Kendall Jenner, Solange Knowles and man of the moment Mark Ronson, of course. For its third H&M studio show, the Scandinavian mega-brand turned the iconic Grand Palais into an out-of-this-world lunar landscape, complete with moon print flooring, strobe lighting and tin-foil landing pod centrepieces. French It-girl Caroline de Maigret had a Barbarella moment in a heavy metal catsuit, before taking to the decks in her very own astro pod. Glossy leather separates and lustrous satin coats offered a luxe nod to space suit shine, while the classic markers of utility wear (clusters of functional pockets and uniform colour schemes) added to the theme in an actually-wearable-in-2015 kind of way. As Topshop Unique and Whistles have become established forces on the London Fashion Week schedule, giant H&M has made its mark on Paris with its Studio line. The best bit of all? It’s coming soon to a high street near you.